I know this was months ago, but I started writing this back then and just got the opportunity to finish it recently. 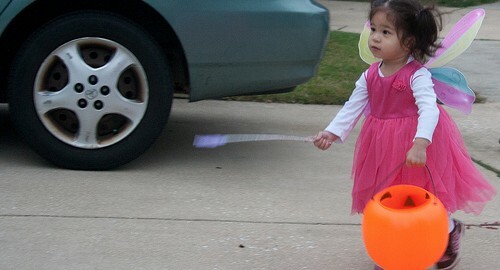 This year was Scarlett’s second Halloween, but the first one where she had some kind of a clue about what was going on. 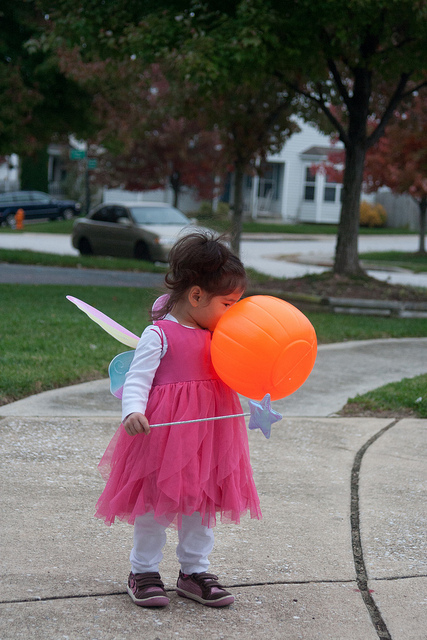 The previous year we’d dressed her up as Toad, but other than the giant head-piece, I don’t think it was too different from any other day in her life. 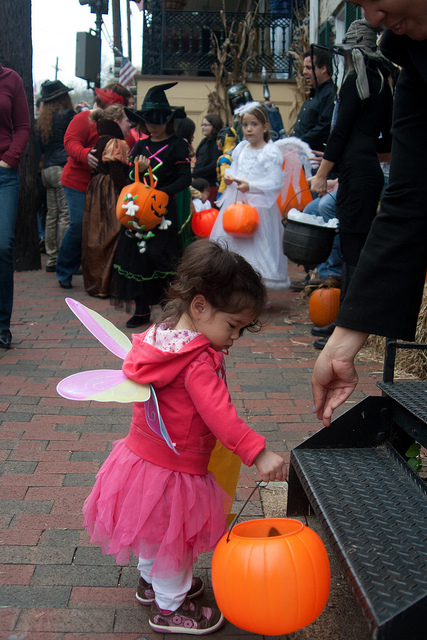 This time around, although she didn’t really see a point in collecting the candy because she doesn’t eat it – she did present her basket to each person giving out candy. 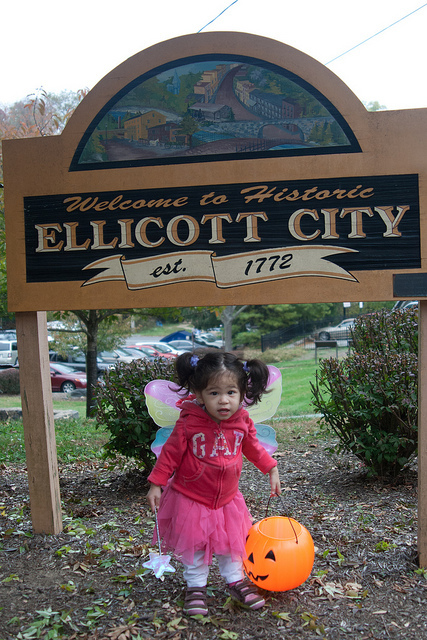 She walked nearly the entire length of the Ellicott City Halloween section on Main Street. 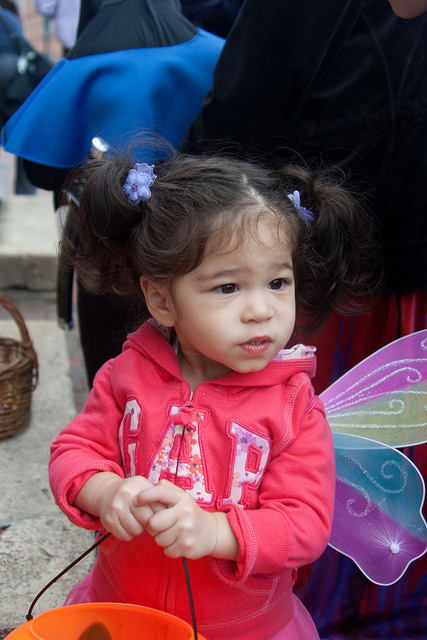 Interestingly, she was not afraid of goblins, monsters, zombies, or vampires. There was one thing that scared her – something that would still be on her mind months later. There was someone who was dressed in a full body spandex suit. It covered him from head to toe so that he did not have a face or ears. That freaked Scarlett out so badly she was mentioning being scared for almost the first time that day just because of him. “Scared….purple guy” she kept saying. Afterward we went around the neighborhood. About four or five houses were participating. She had the hang of showing people her bucket and I think she liked that it was less crowded.